We invite you to learn more about each of our sponsors and their dedication to supporting women-owned businesses. Today, we’re proud to introduce Nancy Williams, CEO of ASAP Solutions Group, a technology industry executive with years of experience in business development and large-scale account management. She leveraged her IT experience to lead ASAP Solutions Group through incredible growth, opening branches in New Jersey/New York, Chicago, Dallas and India. Last year, Nancy was recognized as one of our Women of Distinction and is a valued thought leader and advisor within the WBENC network. We’re proud and honored to have ASAP Solutions Group’s support as a presenting sponsor of the 2018 WBENC Summit & Salute. Always demonstrate to your clients and teammates that you care about their success and you want them to succeed. In doing so, you will be incredibly successful because your colleagues know they can count on you to help make them successful. What’s your fondest WBENC memory or experience? 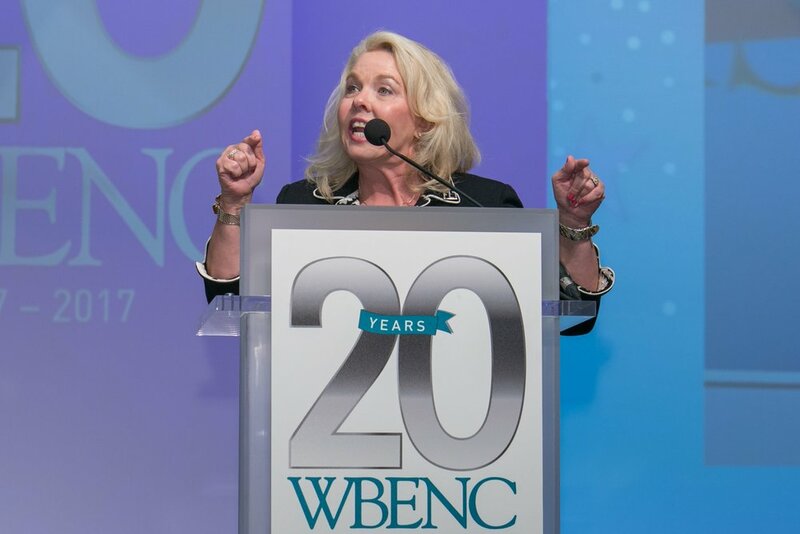 Having been a part of WBENC since 2002, I have had many memorable experiences. I would probably pick two experiences. The first was raising $100,000 for WBENC at the Summit and Salute performing a live auction of a wonderful group of CPOs. It was an unbelievable night and a lot of fun! The second memory was being awarded the Applause Award by Linda Denny. A WBE had never won this award and I was incredibly honored to of been the recipient. How has your involvement with WBENC impacted your career? Our company’s brand and growth is a direct correlation to WBENC! The network of the Corporate Members and WBEs is incredibly valuable to your success and your company’s success. I always tell WBEs to work on your brand, not just your companies. Remember, people do business with people they know and trust. What is your proudest moment thus far in your career? The proudest moment of my career was being able to put together the financial packaging to purchase the entire company from my business partner. Having my financial institution believe in my vision and seeing our entire team support that vision has been incredible. I am so very lucky to work with an unbelievably talented team of individuals daily. I know with this team, we can and will accomplish everything we have set out to do! Posted on February 27, 2018 by WBENC and filed under Corporate Members, Sponsors and tagged supplierdiversity summitandsalute.